By Yeh Jiunn Tyng and I-fan Lin. Lien Chan, who served as vice president of Taiwan (Republic of China) from 1996 to 2000, has departed Taipei to attend a World War II military parade to be held in neighboring People’s Republic of China on September 3, 2015. The news stirred a lot of controversy as Lien was a high-profile figure in Taiwan’s ruling political party Kuomintang and his presence is symbolic to the Chinese Communist Party’s military performance. Kuomintang, which led Chinese efforts to defend against Japan’s invasion in WWII, already commemorated the 70th anniversary of the war on July 4 in Taiwan. As the Chinese Communist Party does not recognize Kuomintang’s leading role in the conflict, Lien’s presence at the mainland military parade seems to do a disservice to his own party. 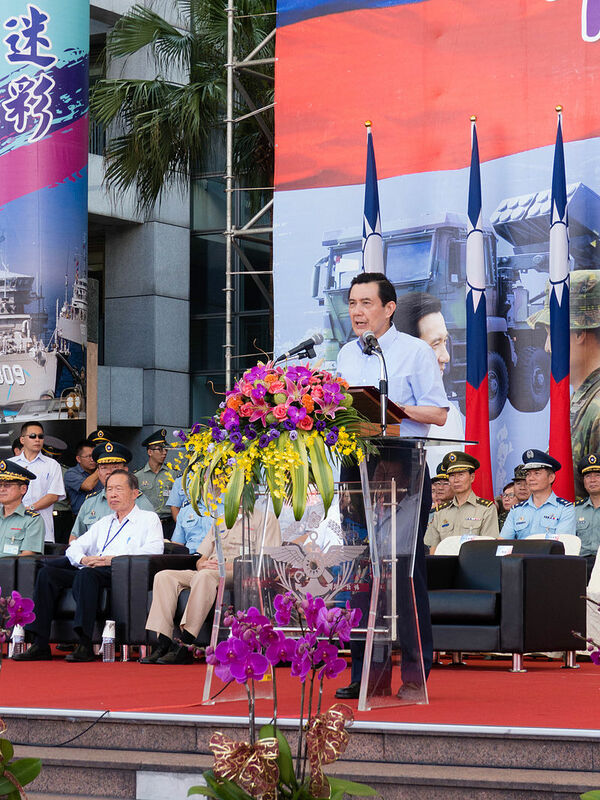 Ma Ying-Jeou, the president of Taiwan, has commented that it is not proper for Lien to attend the parade because it will back China’s claim that the Chinese Communist Party were a crucial part of the defense against the Japanese invasion while downplaying Kuomintang’s leadership. Hau Pei-Tsun, the ex-chief of the general staff of Taiwan from 1981 to 1989 and a veteran of WWII, also wrote an open letter to a Hong Kong-based paper, bidding the Chinese Communist Party to revise their interpretation of WWII history and recognize the Kuomintang’s central role. Taiwanese President Ma Ying-jeou. Photo: Wikimedia Commons. 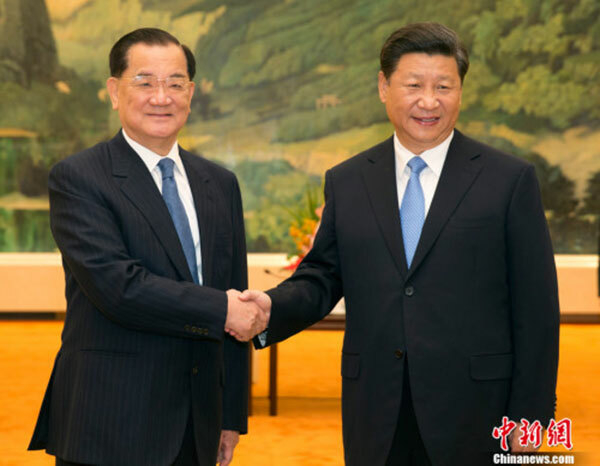 On several occasions since 2014, China’s President Xi Jinping has ordered historians and intellectuals to delve into “the unwavering role” that the Chinese Communist Party played in the Second Sino-Japanese War, with the hope of establishing the party’s legitimacy by playing to popular anti-Japanese sentiments. The struggle against Japan’s invasion is hence the beginning of China’s “national revival.” The military parade and film “The Cairo Declaration” are parts of the Chinese Communist Party’s greater plan to promote its contribution in fighting against the Japanese locally and against fascism worldwide. Unlike many important political figures in Kuomintang, Lien’s family moved to Taiwan before the party relocated there after losing civil war to the Chinese Communist Party in 1949, four years after the end of WWII. Therefore, Lien embodies the Chinese Communist Party’s claim that the Taiwanese worked alongside the Chinese during the Second Sino-Japanese War, despite the fact that Taiwan was colonized by Japan at the time and many Taiwanese were asked to fight for Japan during WWII. The Republic of China was established in 1911, but it was soon thrust into another period of warlordism. After Kuomintang leader Chiang Kai-shek pacified major warlords and announced the unification of China in 1928, Japan started its invasion of the northeastern Chinese city of Shenyang in 1931. The Japanese forces kept encroaching on Chiang’s army, leading to the declaration of the Second-Sino Japanese War in 1937. Besides external threats, internal conflict between the Kuomintang and the Chinese Communist Party was brewing. But the two political parties agreed to leave their issues aside and cooperate in fighting against the Japanese. 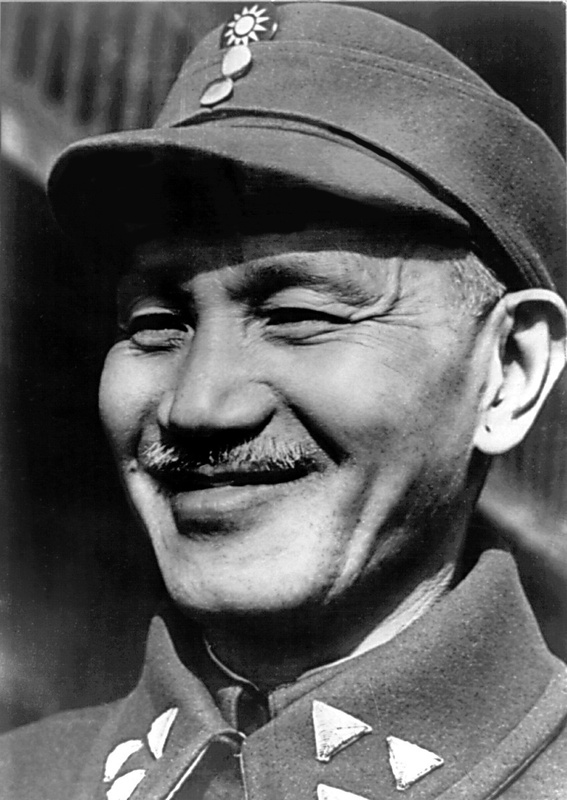 Chiang Kai-shek. Photo: Wikimedia Commons. The Second Sino-Japanese War lasted eight years before the Japanese surrendered. Present-day depictions of the war vastly differ between the two parties. In Taiwan, the Kuomintang sees the Chinese Communist Party as avoiding battles with the Japanese, and then consolidating its power in Japanese-occupied regions. In China, the communist party downplays Kuomintang’s wartime role. The Chinese civil war broke out in the aftermath of the Second Sino-Japanese War. The Kuomintang, which was the ruling party of China back then, relocated to Taiwan in 1949. During the same year, the Chinese Communist Party established the People’s Republic of China. A Chinese netizen wondered on Twitter how the communist party could claim that they won the war against the Japanese in 1945 if the People’s Republic of China wasn’t established until four years later. Teacher: “Who can tell a time-travel story in one sentence? Lien Chan was the president candidate for Kuomintang in 2000 and 2004, but lost both elections to Chen Shui-Bian, the president candidate of Democratic Progressive Party. Because the Chinese Communist party did not trust Chen Shui-Bian, the relationship between China and Taiwan was tense during Chen’s administration. In 2005, China passed the Anti-Secession Law, which allows for the use of force to retake Taiwan if it should ever formally declare independence. After losing to Chen Shui-bian in the 2004 election, Lien took advantage of the cross-strait tension and visited China in his capacity of Kuomintang chairman in April 2005, becoming the first chairman after 1949 to do so. Lien was even awarded the Confucius Peace Prize in 2010 for his relationship with China. In 2011 and 2014, the prize was awarded to Vladimir Putin and Fidel Castro, respectively. Although mainland China has its own interpretation of the war, the presence of a dialogue clarifying this interpretation is still better than none. With mutual exchanges, and in hope of a good start, we will be working hard on researching the second Sino-Japanese War history. 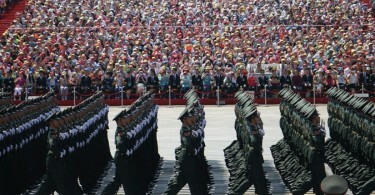 The military parade on September 3 is a brainwashing event. Chinese citizens will see their strong army and soon forget the Tianjin explosion, the corrupt officials, the pain of the Tiananmen massacre, and the humiliation of Culture Revolution. […] Lien Chan’s attendance just fulfills his own wish to be a stooge [of the Chinese Communist Party] to see the parade with his master, although he knows this military parade is a threat to Taiwanese and meant to alter history.